Integrity Repipe is a plumbing company in California that specializes in PEX repipe plumbing. If your pipe system is outdated, water is tasting bad, or the water pressure is down, you might need to repipe the entire system. Integrity Repipe PEX Plumbing services are affordable, lifetime guaranteed, and the best. Integrity Repipe Inc is rated number one in the country. At Integrity Repipe, we provide total abandonment of your existing potable system, and there are never hidden extras, and we don’t hire subcontractors. You’ll receive nothing but the finest, most complete and professional job in the industry. The scope will be for a lead-free and yellow brass -free potable “GREEN SYSTEM” with a full lifetime warranty that covers material and labor. Repiping a potable water system means you totally abandon the existing potable system and replace it with a new system. There are three main materials that are currently used in repiping jobs, 1) copper pipe and fitting, 2) CPVC pipe and fittings and 3) PEX pipe and fittings. (DO NOT USE CPVC, IT IS THE NEXT POLYBUTYLENE). Integrity Repipe Inc, we always recommend PEX repipe. One of the benefits of Repiping with PEX is to Increase Water Pressure and Volume. To learn more about PEX repiping or if you want to schedule an inspection, give us a call today. Integrity Repipe will explain and guide you through their process of water pipe replacement with PEX. Zurn PEX specializes in cross linked polyethylene tubing for use in plumbing, radiant heating, snow melt applications, and more. Choose Zurn PEX for a reliable, recognized manufacturer to supply your entire installation. • Flexible tubing is easier to install and requires up to 90% less fittings compared to copper, galvanized and cpvc materials, reducing labor and potential for leaks. • Installation of PEX tubing with the Zurn expansion system reduces labor and installation time, also reduces the need for multiple soldering or hazardous chemicals. • Zurn PEX tubing is corrosion resistant, extending the life of your system, versus copper which can corrode and collect mineral build up. • PEX systems expand during freezing and resist damage where copper and CPVC systems will burst, causing thousands of dollars in damage. • Zurn PEX tube is certified to NSF 61 for safe use with potable water. Zurn PEX tubing is free of heavy metals such as lead, and is free of BPA to ensure the highest quality. 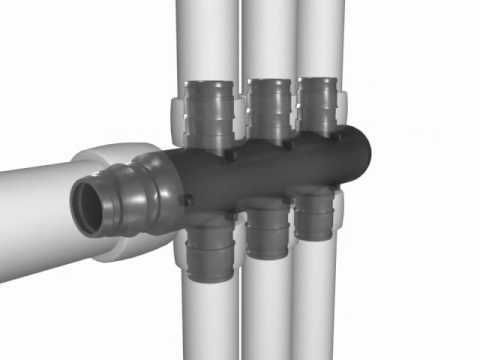 • Zurn PEX tubing does not amplify sound and expands to absorb the effects of water hammer, resulting in a system that is quiet during operation. • Zurn PEX tubing has a higher thermal resistance than copper and CPVC, allowing hot water lines to stay hotter longer. • Expansion systems are full strength upon installation, provide 360 degree uniform pressure, and deliver more flow than required by fixture demand. • Zurn, a leader in the plumbing industry for over 115 years, backs the Zurn PEX plumbing system with an industry leading 25-year warranty. • Zurn PEX utilizes the Silane production method to provide the most durable and reliable PEX tubing. • The Silane production method allows the use of beneficial additives (antioxidant stabilizers, ultraviolet (UV) stabilizers, and colorants) without interfering with the material’s ability to cross-link, providing a superior tubing. • The Zurn formulation additives result in tubing that qualifies for the highest chlorine and UV resistance as defined in ASTM F876, extending the life of your system. • Zurn’s cross-linking method creates a more dimensionally stable and consistent tubing than cross-linking methods that require extreme pressures or secondary steps. Zurn’s Silane cross-linking process far surpasses the quality requirements set forth by F876 (160 PSI @ 73.4°F, 100 PSI @ 180°F and 80 PSI @ 200°F). Zurn PEX tube may be used in plenum applications when installed according to Zurn installation requirements. Meets requirements for continuous hot water recirculation as defined in ASTM F876. All Zurn PEX tubing is ‘MADE IN THE USA’ in state-of-the-art manufacturing facilities. Integrity Repipe plumbers are the best. They are trained and taught by the owner, Joe Ludlow, on how to inspect, repair, repipe, and drywall. Most plumbers will drill a hole on your wall, and not conduct a complete and professional drywall installation. The technicians at Integrity Repipe works organized and clean. 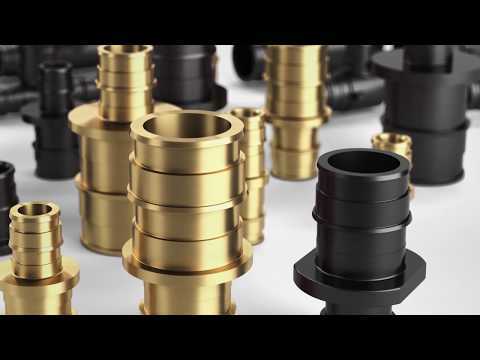 When is comes to PEX water line fittings, you want the best repipe plumbers providing the services and products. PEX pipes are faster to install and are affordable than other pipes. Depending on the condition of your existing water pipes, there is a possibility to install PEX without a complete PEX repipe replacement. Give us a call today, and ask about our PEX water line fittings services today. Looking for a repipe plumbing services in Mission Viejo? Integrity Repipe offers affordable services for installing PEX pipes. Water pipes can get worn down or in poor condition over time. Call Integrity Repipe when if your home PEX water line needs repairs. Need a repipe replacement in you home? Integrity Repipe has the best repipe plumbing services in Oceanside using PEX pipes. Integrity Repipe is your local PEX re-pipes plumber near Anaheim. Our services are affordable and come with a lifetime warranty. Is your water tasting weird? If so, contact Integrity Repipe Inc, a PEX Repiping Company near San Diego. Integrity Repipe offers residential PEX tubing installation near Los Angeles, California. Give us a call today. Integrity Repipe services from Integrity Repipe includes PEX repipe replacement and repair slab leaks. Give us a call today. If you are looking for a PEX pipe repair plumber near Burbank, CA, give Integrity Repipe a call today. Our services are affordable. Integrity Repipe is rated number one in the country for their PEX repiping services. If you want the best PEX fittings, give us call.